1224 - Photo: Paul Bettany. 1223 - Photo: Paul Bettany. 0230 - Photo: Paul Bettany. 0229 - Photo: Paul Bettany. 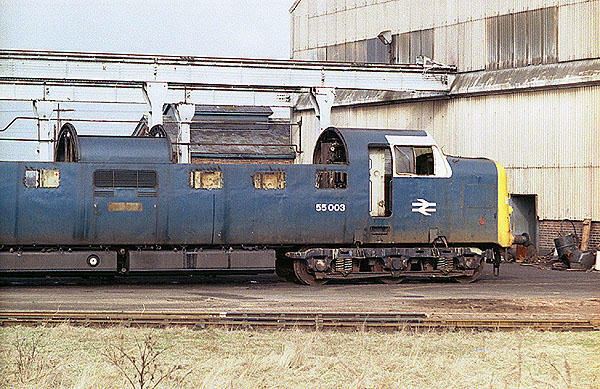 ...55003 (D9003) "MELD" at the rear of Doncaster Works on Saturday 21st February 1981. 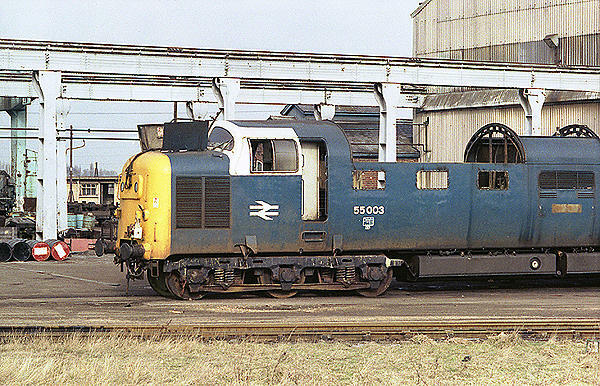 3065 - Photo: Antony Guppy. 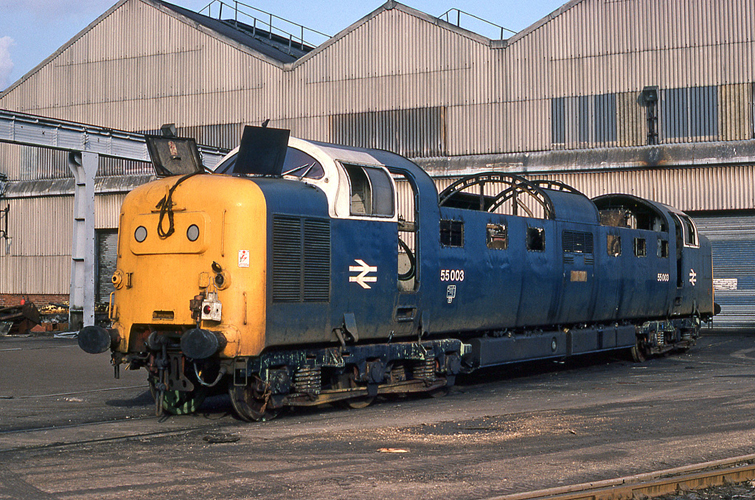 ...55003 (D9003) "MELD" awaits scrapping at the rear of Doncaster Works on the 21st February 1981. 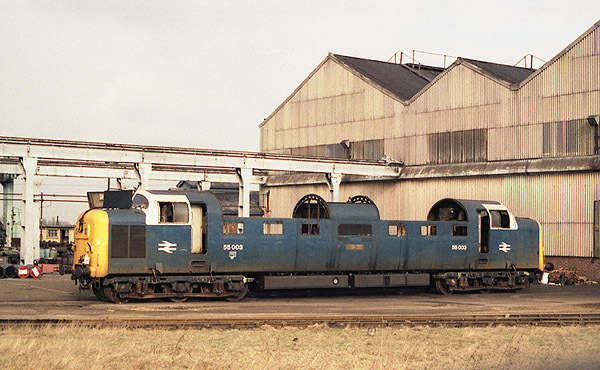 21/02/81 - Doncaster Works (rear of dismantling shop). 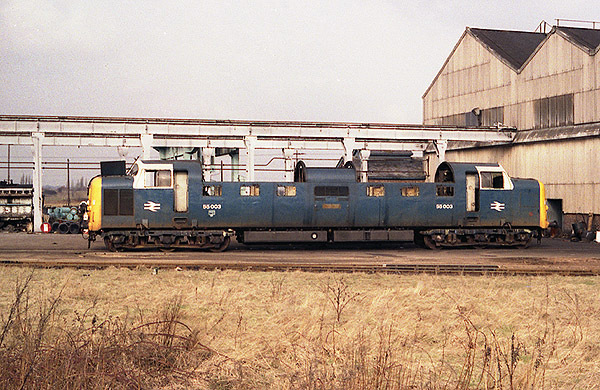 Deltic Deadline No.43: Page 18.